The conference took place in Ingersoll in April 2018 for over 80 producers, suppliers, researchers and industry champions. Read the recap. In April 2018, we unveiled a new logo and slogans (“Eat Ontario Farmed Seafood”) to better represent our diverse industry. Download the logos and usage guide on the Media page. Our government advocacy this year included a clever trading card campaign for MPPs, meetings with relevant Ministers and 30+ other politicians and staffers, and a Member’s Statement from the floor of Queen’s Park. Continual communication and partnership has led to significant, confirmed progress on the industry’s advocacy agenda. The summer gathering took place in Parry Sound for 25+ industry members to re-orient OAA’s strategic mandate and set our advocacy agenda, including a social golf tournament in collaboration with Aqua-Cage Fisheries. Read the summary. Refreshed a new web presence for the association complete with an interactive map of farms, grower profiles, Frequently Asked Questions, recipes, and much more information for government, public and industry audiences. In response to requests for more information of industry news, media, events, and activities. Read the two fall newsletters here: September/October & November/December. In partnership with the Livestock Research Innovation Corporation, the OAA brought together more than 40 industry members to determine research areas of focus for provincial and federal government groups, including industry-relevant research projects. Stay tuned for the summary report. 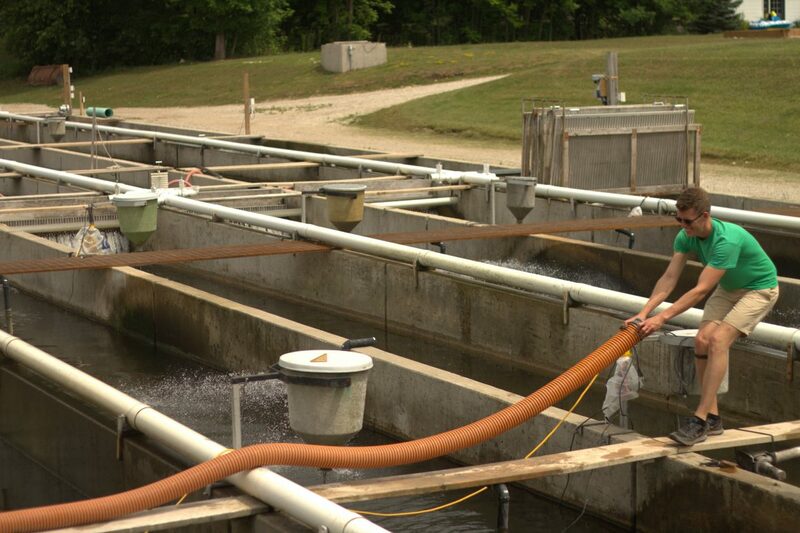 By request of the Ontario Aquaculture Association board and members, the managing director RJ Taylor visited nearly every member farm to make sure the association is best representing industry needs moving forward. 10. Kept the association alive and working for members! This year included 7 meetings of the OAA board of directors, onboarding new accountants, and relocating the office to Hanover, Ontario. If the Ontario Aquaculture Association can help with any of your personal government advocacy, communications, or meeting other OAA members, don’t hesitate to reach out to us.